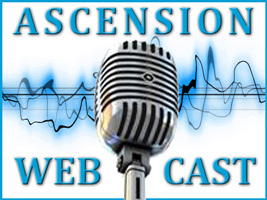 This is the registration for the Ascension Q&A for January 30th, 2019 at 3:15 pm Pacific Time/ 6:15 pm Eastern Time, which will discuss the monthly theme and include a meditation. To register for the monthly teleconference class for Wednesday, January 30th, 2019, please purchase this item. PLEASE READ ALL INSTRUCTIONS as you will need them to access the class. By purchasing this item you are registering for the Ascension Q&A for January 30th, 2019, 2018, at 3:15 pm PT / 6:15 pm ET which will discuss the monthly theme and include a meditation. Please note: the download links to the recordings will NOT WORK until the day AFTER the conference takes place. The first recording is general discussion, second is Q&A and third is our monthly meditation treatment. These recordings are sent to you as an additional service for you to keep. Please download these files (which are mp3 audio format) to your computer, as we can’t guarantee how long we’ll be able to keep them available. You’re also free to copy them to any other devices you wish (iPhones, etc.). Please save these files to a computer as soon as possible, as the links will expire at the end of the current month.